by Courtney Ravelo The 5th Wave is an adaptation of a 2013 young adult novel by the same title — the first in a trilogy by author Rick Yancey. The movie takes place in a post-apocalyptic era, with most of the story told in the first-person by a 16-year-old girl (you’ve seen this plot before, think The Hunger Games or Divergent). This series focuses on aliens coming to earth and taking over. Although this dystopian trope in YA novels is becoming increasingly unoriginal, I took it upon myself to give this new author a chance by reading the book and then going to see the movie. The book did not disappoint. The movie, however, I was unimpressed with. Even with a top star like Chloë Grace Moretz in the central role of Cassie, I could tell just from the trailer that this movie wasn’t going to draw a huge audience outside of the book’s fanbase. But even with those fans going to see it, there’s the underlying problem of the movie barely following the book. That’s a common issue in novel-to-film adaptations, but I knew that the only way this movie would be successful is if it followed the plot exactly, since the story of the original book is intricate and requires many details to make sense. Unfortunately, the adaptation chose a different path. The film opens with a scene from the middle of the story. We see Cassie (Moretz) running through the woods, introducing an intense tone in the first 30 seconds. From this point, the film backtracks to chronicle what led to this moment. Director J Blakeson doesn’t move carefully through the scenes; instead he jumps from one plot point to the next, barely giving the audience time to piece two and two together. We’re rushed through the events, and I felt bad for people who hadn’t read the book previously, as the story is portrayed in a way that’s hard to follow. Basically, Cassie’s world has been taken over by an ominous spacecraft hovering above the United States, and the presumed aliens have a five-wave plan of destroying the human race so they can inhabit the planet (hence the title, The 5th Wave). The first wave cuts out electromagnetic waves, electricity, cars and everything of that sort, leaving the world in darkness and without power. The second wave causes earthquakes and tsunamis, killing over half of Earth’s population. The third wave is disease, carried out through infected birds. The fourth wave leads to the aliens infiltrating our ranks, inhabiting human bodies. As for the fifth wave… you’ll have to see the movie to find out. Cassie has to fight to save her younger brother who’s been kidnapped by the aliens. He’s forced into a camp that trains and brainwashes children to kill the remaining few of their own kind. Cassie runs into a love interest along the way, because every YA novel naturally has to be saturated with some kind of romance to lighten up the horrible death and destruction that is occurring. One particular scene is done really well. Towards the middle of the film, there is a sequence in which several adults in a secret refugee camp (including Cassie’s father), are herded into a barn and murdered by United States soldiers who arrive unannounced (they turn out to be the aliens possessing the human hosts). Cassie looks on, horrified. The scene is well-executed because there’s a sense of unease when the soldiers show up instead of relief. Cinematographer Enrique Chediak closes in on the adults’ faces, and from their expressions it’s clear that something is amiss. You can tell something bad is going to happen, but you aren’t sure what. This is one of the only scenes that captured my attention, but the film is worth seeing because of it. However, music-wise, composer Henry Jackman doesn’t appear to give much effort to create a memorable score. There are no swelling chords in the suspenseful scenes and the music isn’t able to effectively inspire any genuine emotion. As far as performances go, Moretz does a good job (as usual). Her face easily shifts into any expression and she portrays “horrified” rather well. Cassie is defensive, loyal, honest, and powerful — giving Jennifer Lawrence’s “Katniss Everdeen” a run for her money — and Moretz truly captures the protagonist’s essence. The rest of the cast, however, falls a little flat. I wasn’t particularly impressed with the decisions (or lack thereof I should say) made by the actors. 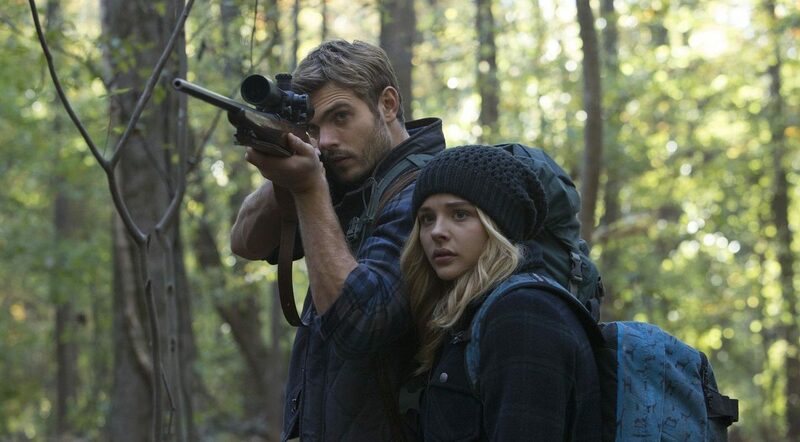 For example, Alex Roe plays Cassie’s love interest, Evan Walker, and he isn’t much more than a pretty face. He has a great body (that, of course, is shown in a forced shirtless scene), but I didn’t feel connected to him in any way and he failed to flesh out the character. The same goes for Cassie’s other love interest, Ben Parish (Nick Robinson). He fits all the stereotypical modifications for the “high school kid that looks like he’s in his twenties because he actually is” profile. In the book, Evan is not such a one-dimensional character; he has more development. The same goes for Ben and Cassie’s younger brother. Cassie herself relays desperation and despair, and logically processes her surroundings in the book (aided by vivid details explaining why everything that happens is important). The book’s foreshadowing is outstanding thanks to Yancey’s superb writing, but this is absent from the film as well. The 5th Wave isn’t as good as it could’ve been (although it’s not terrible). If the filmmakers had stayed true to the original story, I’m sure it would’ve been better. With a few directorial changes and more effort on the part of the actors and composer, The 5th Wave could’ve been a hit on its own without relying on fans of the novel to pull it through.